"Can't sing. Can't act. Slightly balding. Can dance a little." 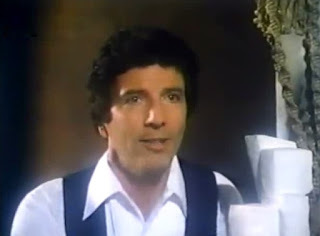 Gil Travis (Bert Convy) is a political dynamo who has everything going for him in his career. But he is neglecting his family in pursuit of his career. 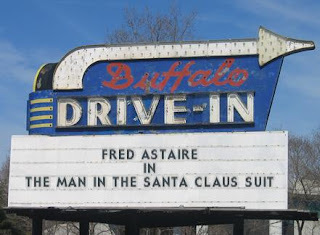 While on a Christmas eve trip, the limo driver (Astaire) gives him a piece of advice from his own childhood. Dress up like Santa Claus and show up at the house. Gil's son is sure to be impressed, as the limo driver was when his father did the same thing years ago. 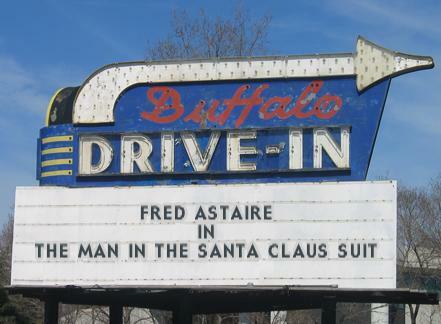 Gil takes the driver's advice and goes to a costume rental shop, run by an eccentric old man (Astaire). Sam Summerville (John Byner) is a homeless guy who is on the run from some shady characters because he found and has kept a gun that was used in a robbery. He wants to leave the city and head west, but he has no money. 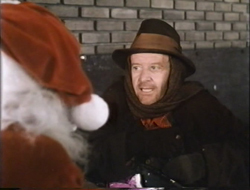 A friend, Eddie (Ray Vitte), suggests he could get some money by posing as Santa Claus. 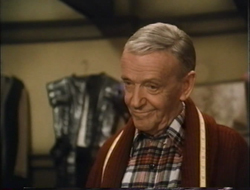 Sam goes to the same shop being run by Astaire, and then proceed to try to rob a rich house. Bob Willis (Gary Burghoff) is a shy math teacher who is desperately in love with his neighbor, Polly (Tara Buckman). He is shy but he plans on trying to propose to her. 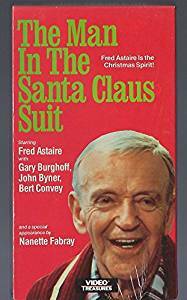 A jeweler (Astaire) suggests that he dress up like a pirate or something to overcome his shyness when he proposes, and they come to the conclusion that the best costume for the time of year would be as Santa Claus. So he ends up at the same costume shop. The best scenes in the movie are with Byner as Sam who has attempted to rob a family of their money. The family consists of two former vaudeville performers, Dickie and Dora (Harold Gould and Nanette Fabray), who are spending Christmas with their grandchildren (Patrick Peterson and Debbie Lytton). 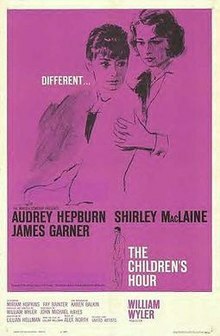 The grandchildren are the most self-obsessed obnoxious kids ever portrayed in film. One wonders why they aren't with the parents. But the parents went to Bermuda on vacation. Why didn't they take the kids? That probably explains why the kids are the way they are; their parents aren't very mature either... The grandparents take a liking to Sam and try to help him out. But the kids are intent on trying to get Sam arrested. Oh my gosh, Quiggy, I have not thought of this TV film for years, and you have brought it back to life for me. 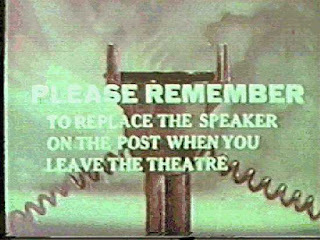 Must see again. Love to see the iconic classic star Astaire juxtaposed with those quintessentially 1970s supporting players--Bert Convy was so good-lookin' in that 1970s Ken Doll way...comedian John Byner was always a hoot...and even Radar from MASH to boot! I'm sure I probably watched it on TV when it first aired. Although wikipedia says it was broadcast on Dec. 23, 1979 which was a Sunday, so I may have been involved in watching football... Thanks for reading. I've never heard of this film, but I love Christmas themed movies. So, it will be going on my watch list. 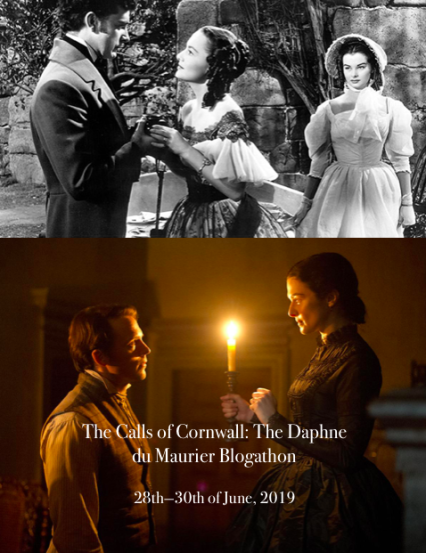 Its pretty good as far as what I would call Hallmark Family style movies. thanks for reading. I don't remember watching this back in the day, but came across it on YouTube and it was like eating a whole box of candy in one sitting. Astaire is such a charmer. However, when my autistic/developmentally delayed son obsesses over the Rankin/Bass Santa Claus is Coming to Town, there are times when my love for Astaire nearly reaches a breaking point. How does he feel about Burl Ives? Thanks for reading. Nine Astaire roles in one film? Count me in! It's always interesting to see him in a non-musical, and this sounds like a good film to add to my watchlist. 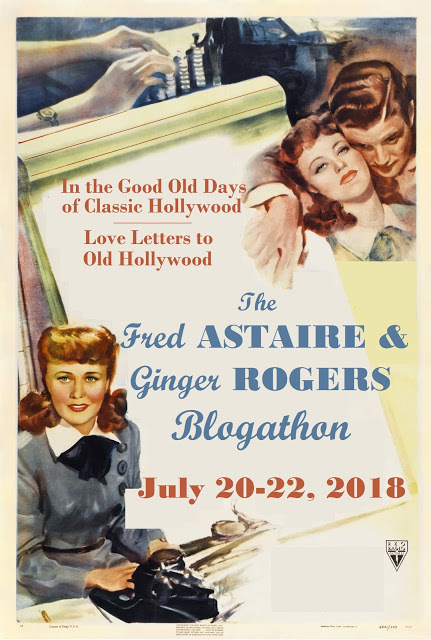 Thanks so much for bringing it to our blogathon! Not being the musical fan I have only seen maybe one or two of his musicals. But I enjoyed the heck out of Ghost Story, and when I finally got to watch it the whole way through, I loved The Towering Inferno, too. Thanks for reading. Great post Quiggy. 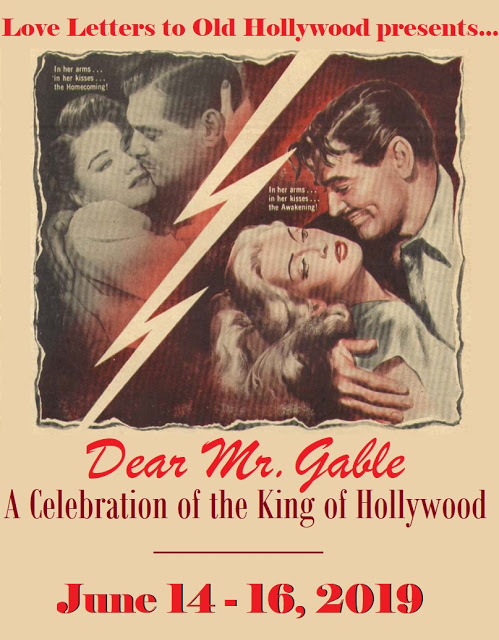 Thanks for participating in the blogathon and for bringing this film to my attention. I have never seen it, but now I'm going to remedy that. It sounds really intriguing. Growing up in an earlier age (i.e. 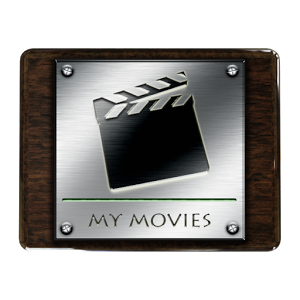 before cable) I saw lots of TV movies that were pretty good. Thanks for reading.